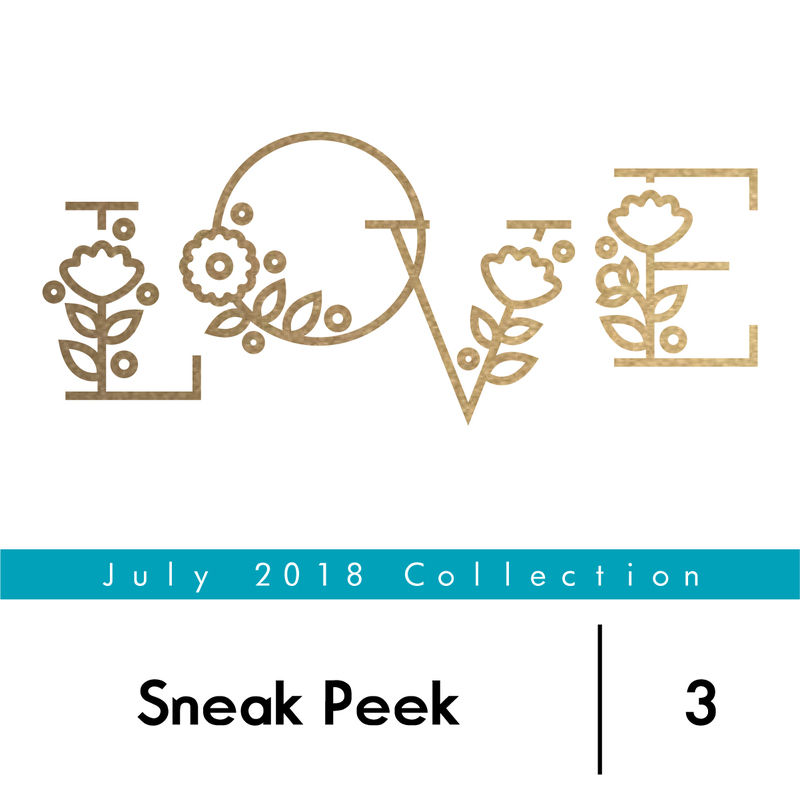 ay Welcome to the July 2018 Stamp and Die Release Sneak Peek Day 1 post! Celebrate how awesome life is with this stamp set! The set includes six 4-layer and 5-layer flower and blossom images, as well as single layer leaf clusters to create stunning floral sprays on your cards, scrapbooks, home decor projects and many other paper crafting projects. There are also three sentiments included that are interchangeable so you can create your own custom sentiment. 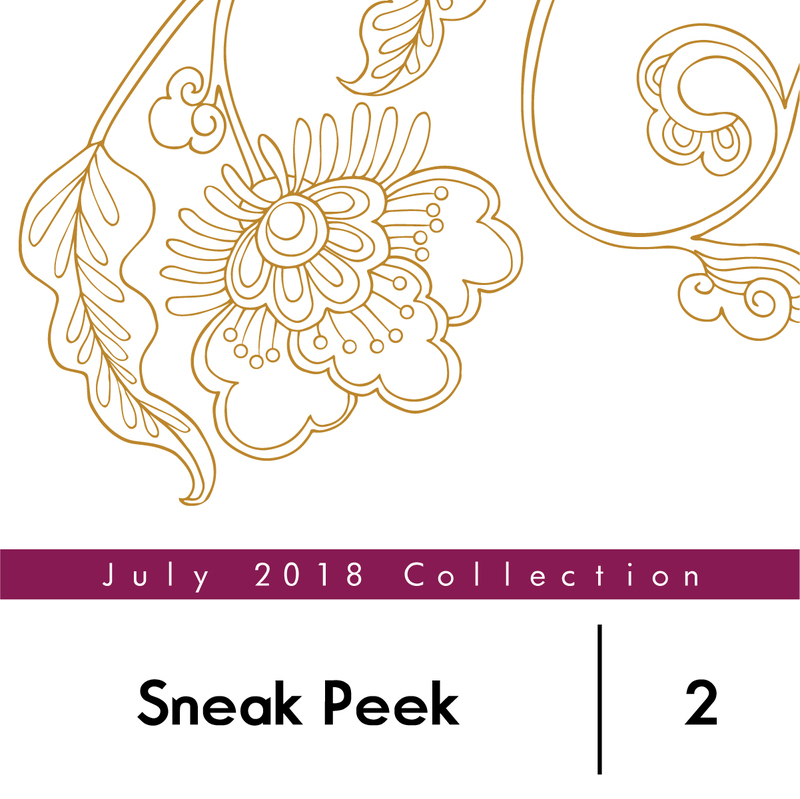 This set was inspired by embroidery patterns, hence the name “needlework.” The two beautifully detailed motifs are great for coloring, embossing, and emboss resist techniques, and will add a touch of elegance to your projects. The sentiments included in the set are perfect for a variety of occasions. You’ll be thinking of warm weather year-round with this sunny and modern stamp set! 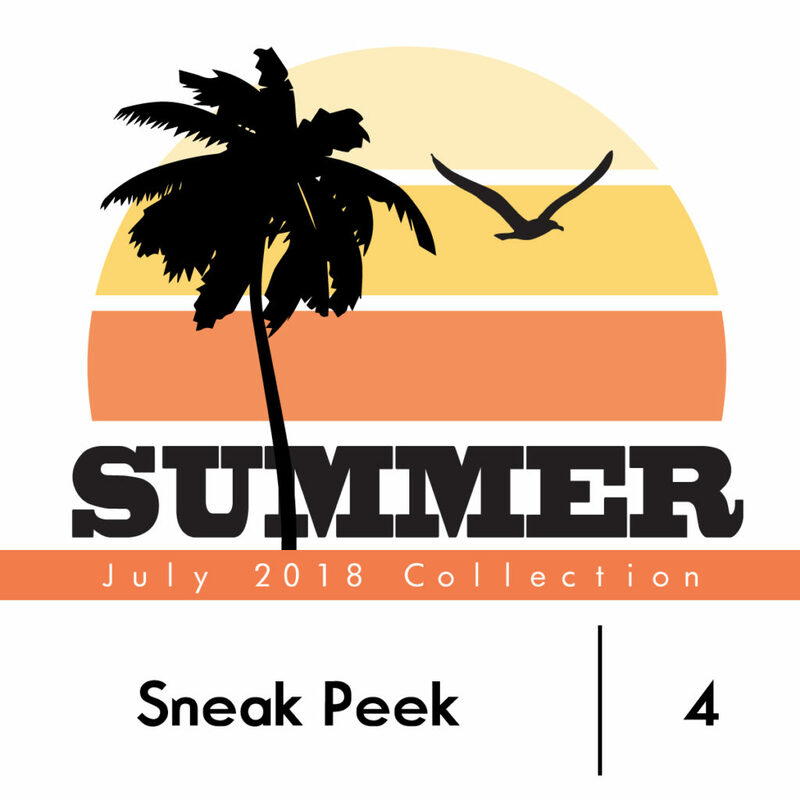 Inspired by vintage t-shirts from Florida and California, this set will help you evoke a beachy feel on your paper crafted projects. Stamp the circular background in a gradient of colors, and complete the look with contrasting silhouettes and a bold sentiment. This stamp set was inspired by our amazing design team. We have translated “thank you” into the different languages spoken by our team! We love offering stamp sets in different languages and are happy to add this one to our collection. Show your gratitude towards friends around the world with this multi-cultural set! We also have a few stand-alone dies to add to our collection! These dies are great to use on all kinds of projects and we are sure you will just love them. Some beautiful word dies are also coming your way! Sometimes, a simple sentiment is all you need on a handmade card. This die is large enough to create a bold statement on your project, yet small enough to leave room for images and embellishments. The cursive font is easy to read and can be adhered directly to your project or be popped up for added dimension. 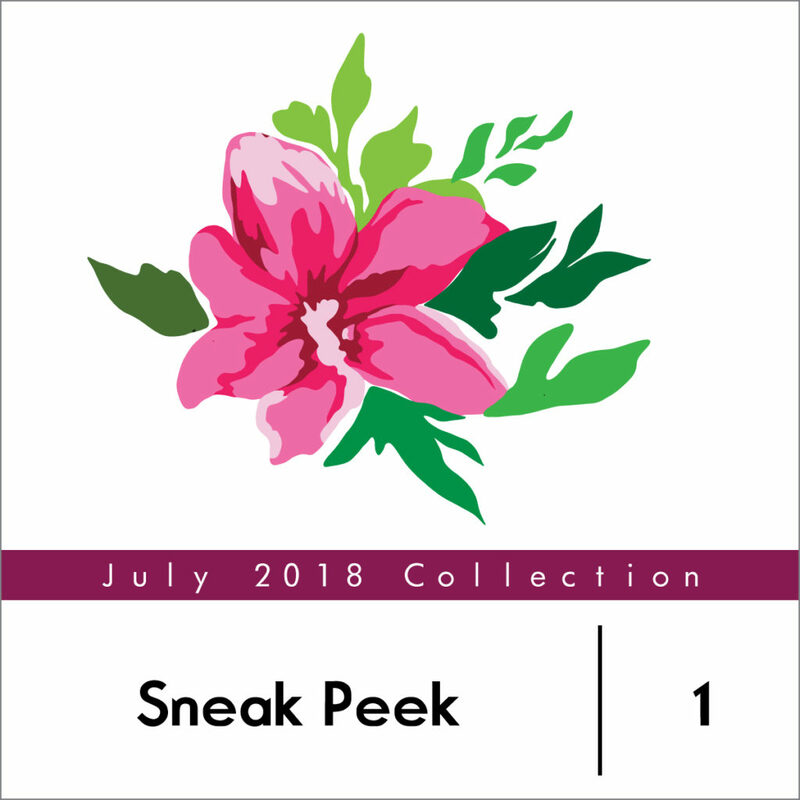 We hope you are as excited as we are about these new sets in this July 2018 Stamp & Die Release Sneak Peek Day 1 post! It just really make me happy when I look at this!! 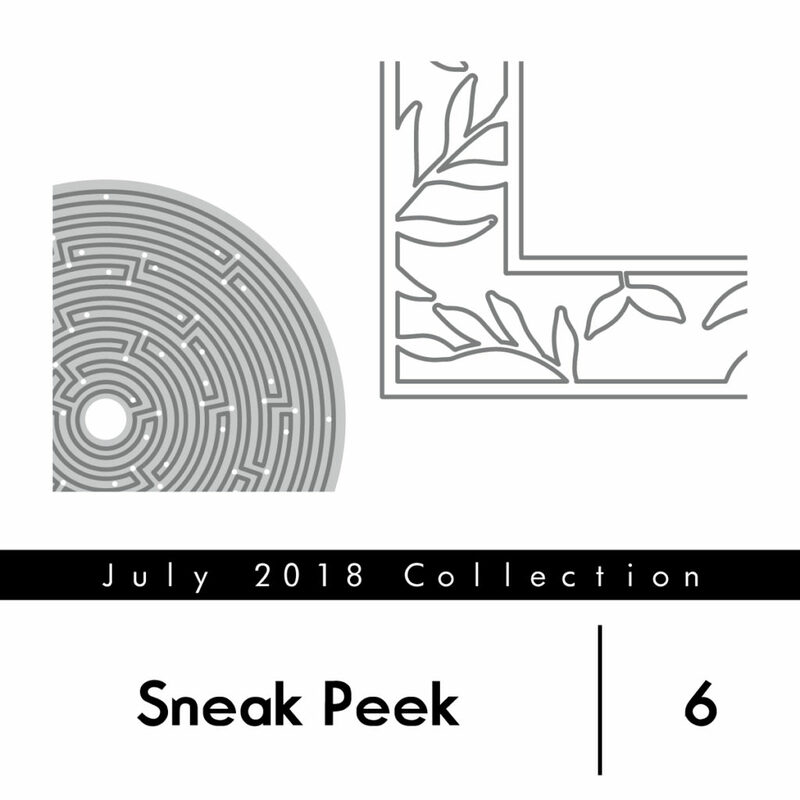 I love sneak peek off you, I can’t wait to see full reveal, very intrigued by numbers 7, 6, 4 & 3. I’ve always loved the look of embroidery so I’m thinking the Needlework set will be very interesting. Looking forward to seeing more especially of the summery silhouettes. I can’t wait to see the stand alone dies and words! And the flower set. I like the summery colors, too—I think they are new inks? Totally looking forward to the tropical t-shirt images!